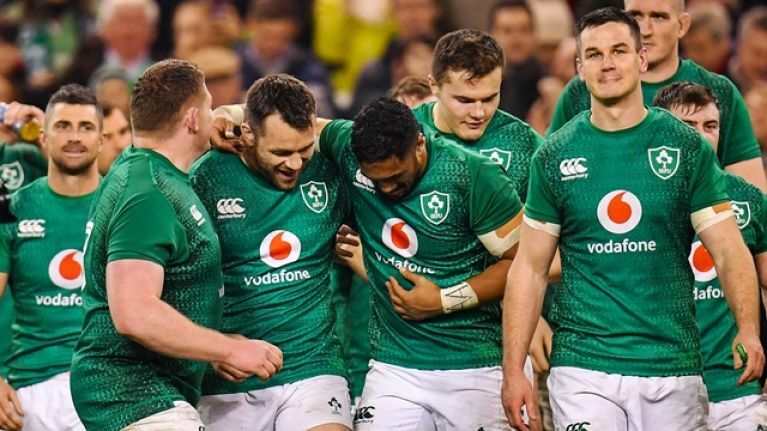 Later this week, Ireland are set to name their Guinness Six Nations squad for rounds one and two of the 2019 championship. Joe Schmidt has nine games left before the World Cup and the next five are the last competitive fixtures until they get to it in Japan. The coach will name an experienced and successful side and one that, should they claim another Grand Slam, one that could end as world number one in mid-March. Few new faces are expected to feature, despite players like Tom Farrell, Conor O'Brien, Ed Byrne, Mike Haley and Eric O'Sullivan doing well in recent months. Ahead of that Ireland squad announcement, former Ireland stars Barry Murphy and Andrew Trimble discussed [from 1:03:00 below] a couple of outside bets that could make the cut on Baz & Andrew's House of Rugby. "Yeah. The 9 situation is a bit worrying. It looks like Luke McGrath, unfortunately, came off with what looks like a knee injury. I haven’t heard the results of the scan yet but [John] Cooney might be just a little bit of a back strain by the sounds of it... [Kieran] Marmion is obviously out 'til early March. So, yeah. I think Blade will be in." Trimble was up at Kingspan for Ulster's victory over Racing 92 and says Cooney, who was a late withdrawal, should feature in next weekend's Champions Cup clash with Leicester Tigers. 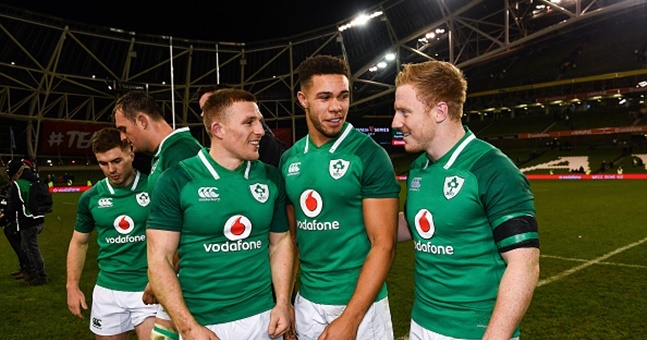 The former Ireland winger would love to see Connacht centre Tom Farrell make the cut but Murphy believes the wealth of midfield options is not helping his cause. He also raised some interesting points on the Irish back three. "Any other position, Tom Farrell probably would [be included]. With the amount of players that are there at the moment, he probably won’t. It’s a big squad, so you never know. But I think with the injuries around back row and fullback, and stuff, probably not. But I would, obviously we are big fans of him so I’d love to see him get in. It’s going to be an interesting decision. "But I was thinking about Andrew Conway at the moment and just the back three situation. Adam Byrne is going well. The wingers, Stockdale and Earlsy are pretty solid there. And then you have the likes of Larmour, Conway, Adam Byrne, [Rob] Kearney. At the moment, I’d be putting one of Conway or Larmour in at 15, as starting 15. It just looks like such a dangerous backline when you have those three back there." All the suspense should end by Thursday when the wider Ireland squad is expected to be announced. It is hoped that the likes of Sean O'Brien, Iain Henderson and Kieran Marmion will come into the mix for the later rounds. Fullbacks: Rob Kearney, Andrew Conway.